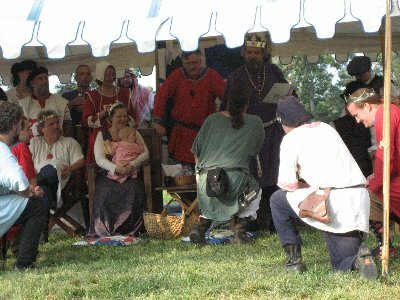 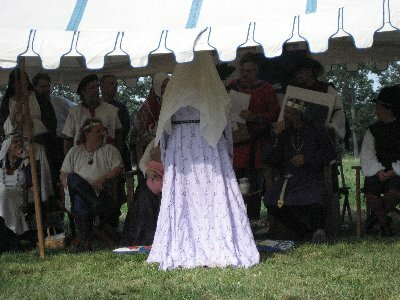 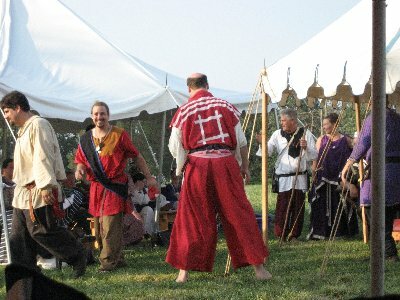 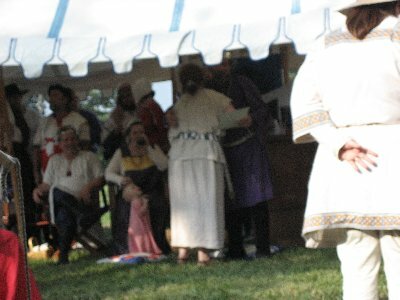 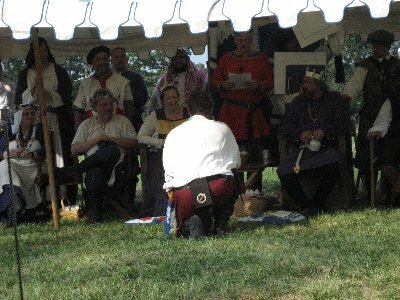 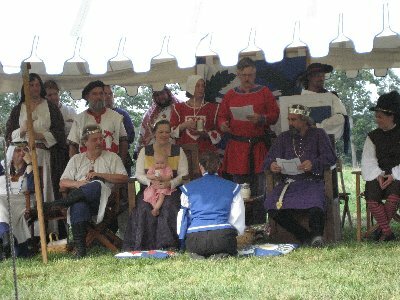 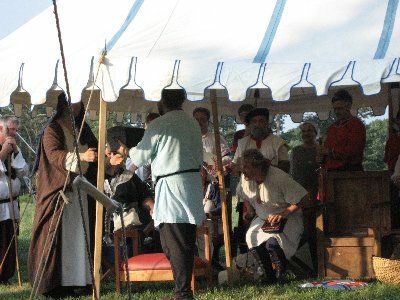 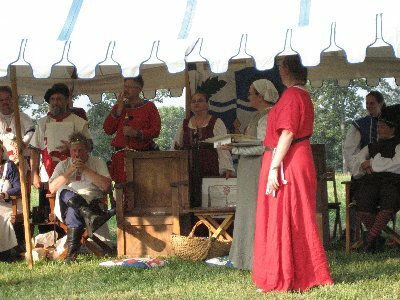 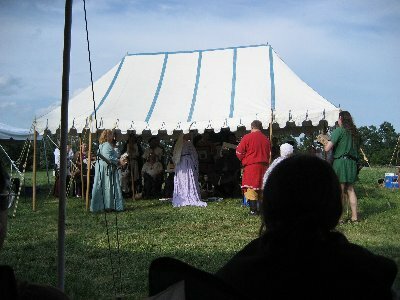 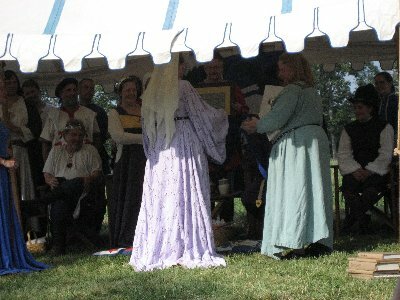 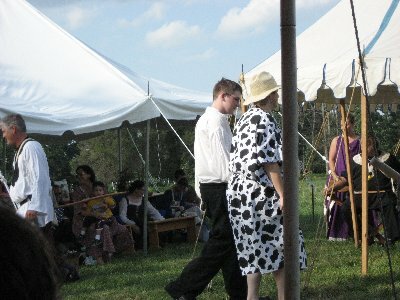 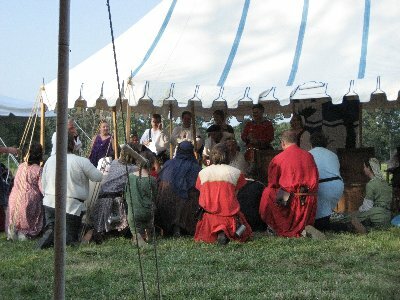 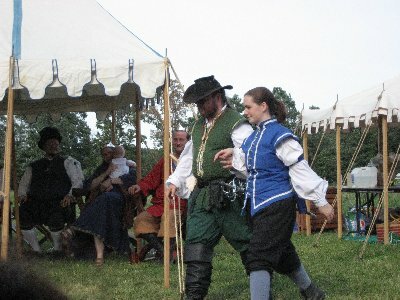 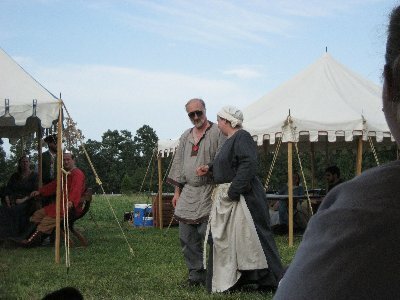 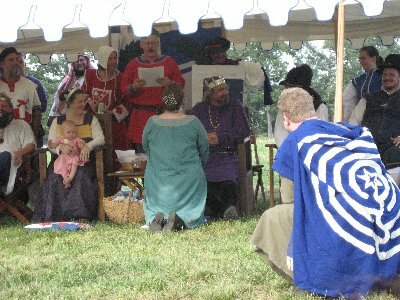 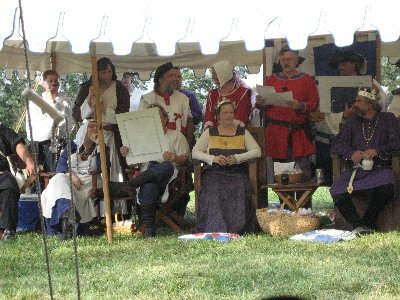 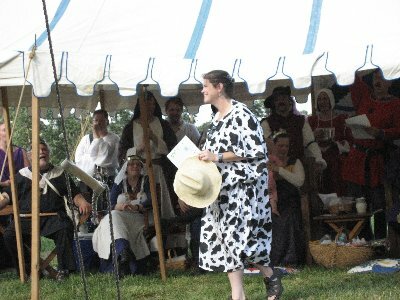 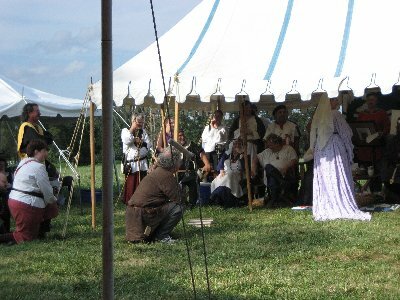 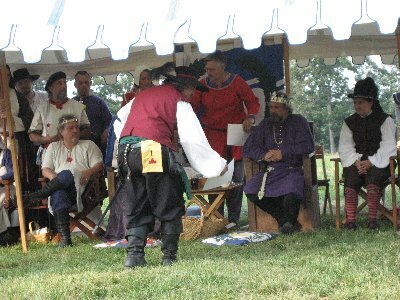 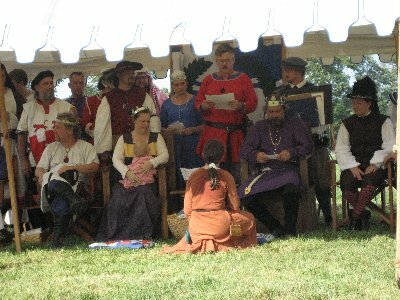 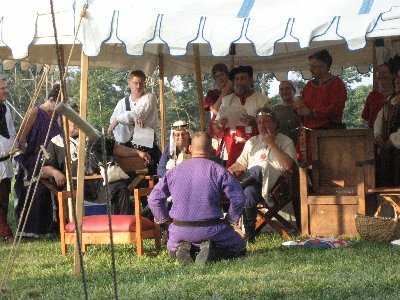 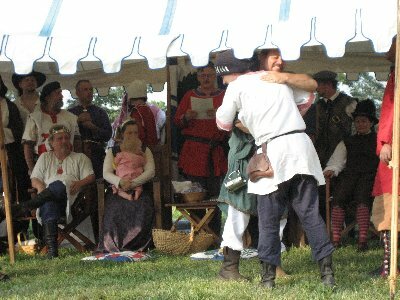 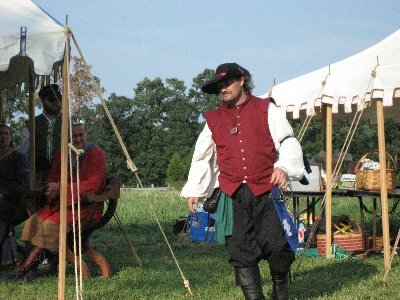 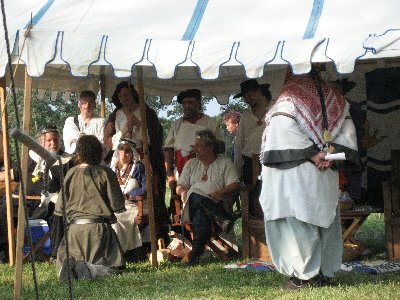 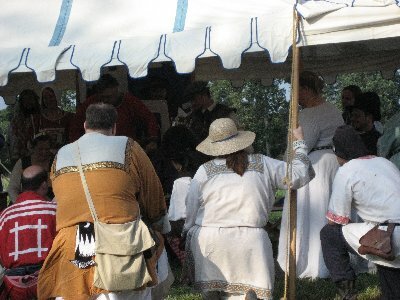 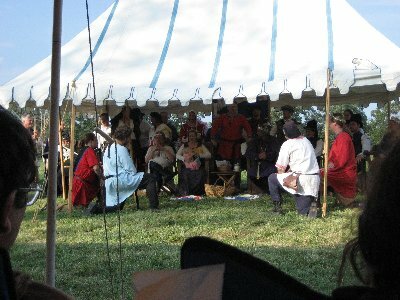 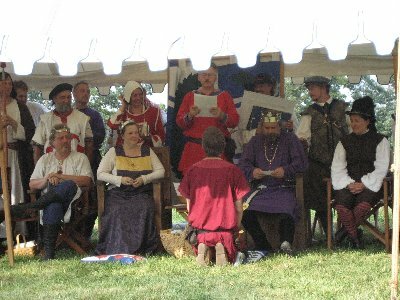 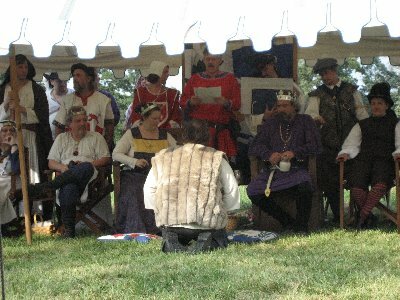 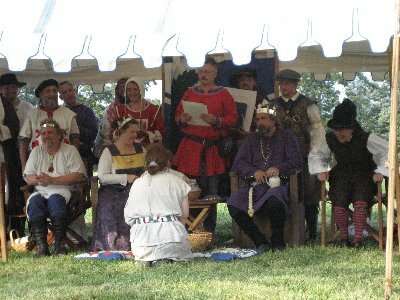 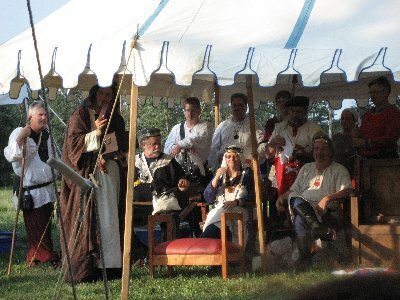 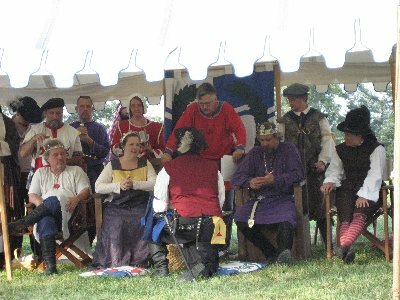 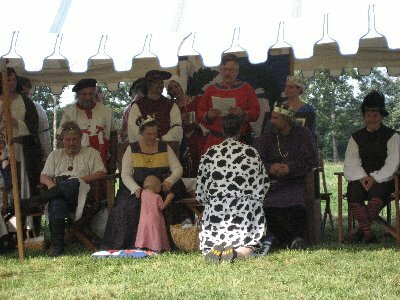 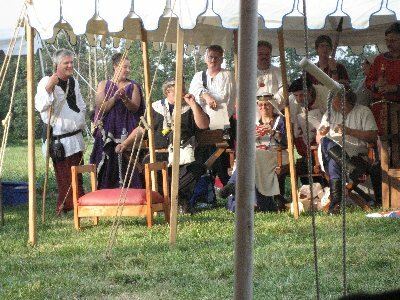 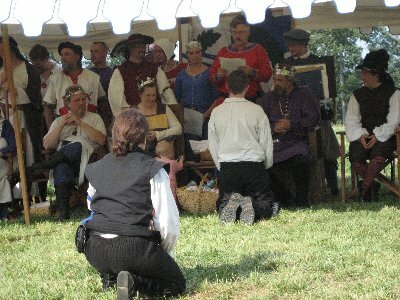 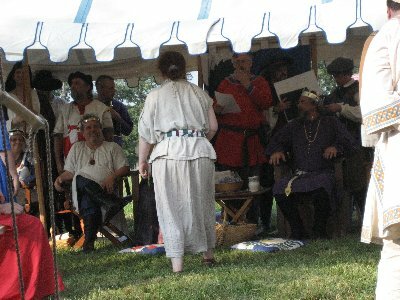 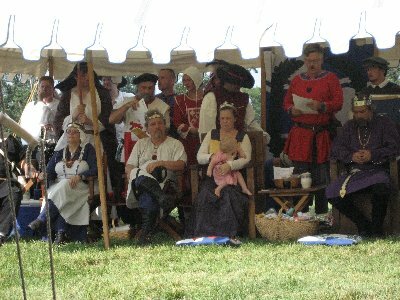 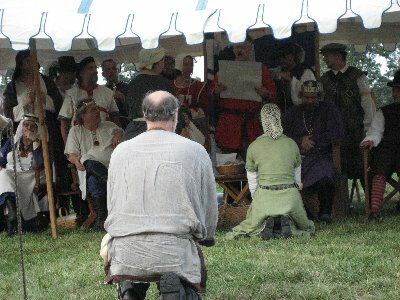 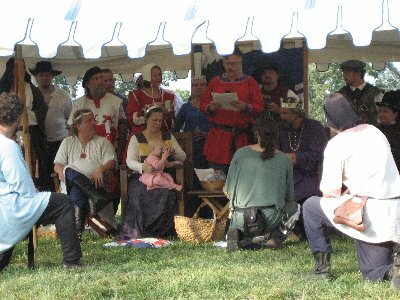 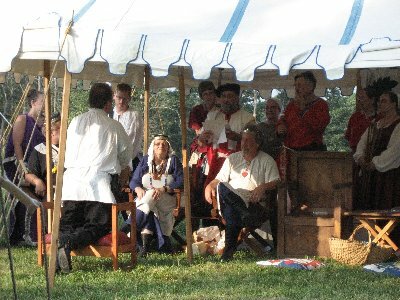 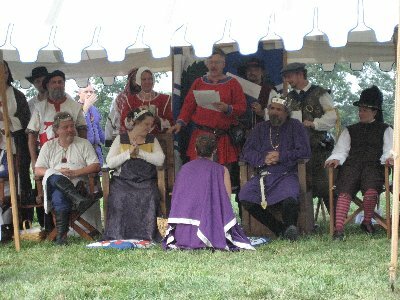 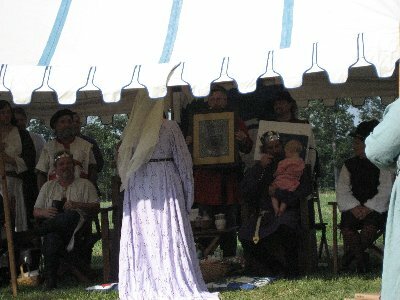 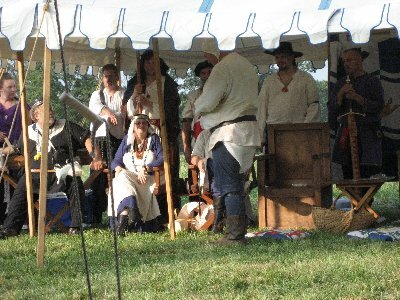 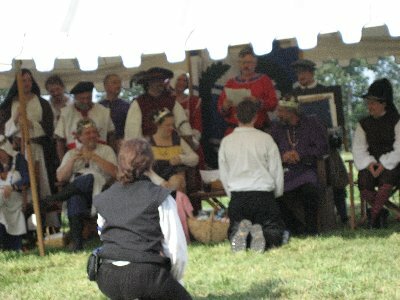 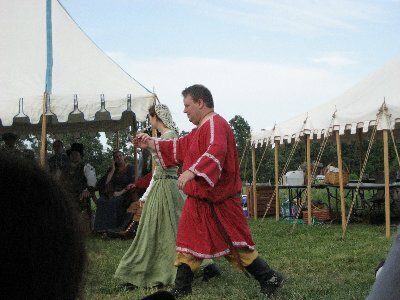 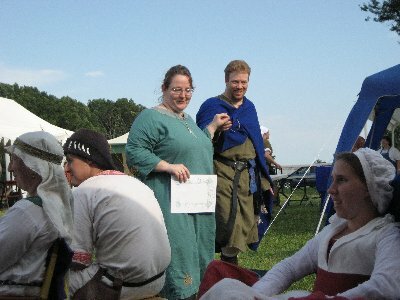 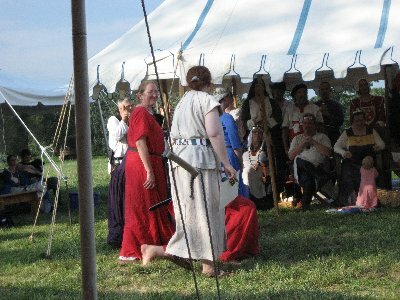 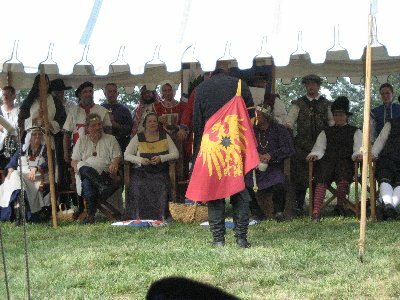 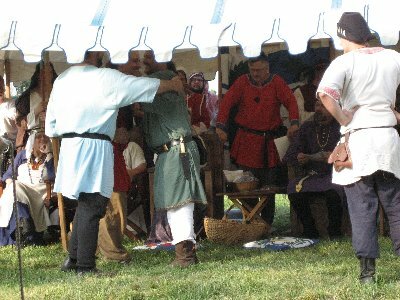 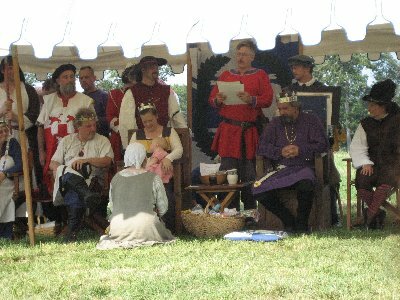 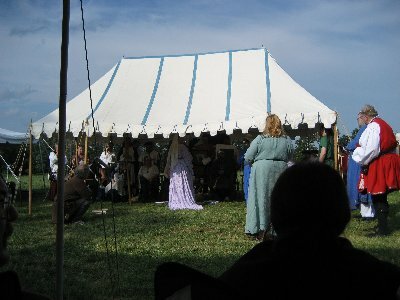 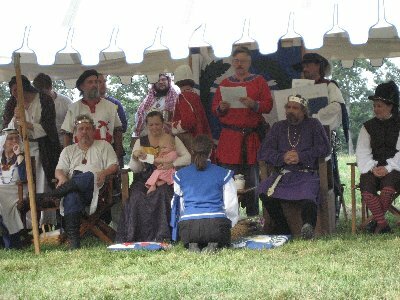 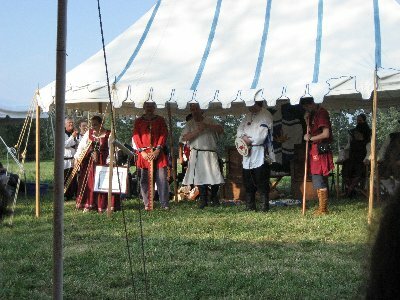 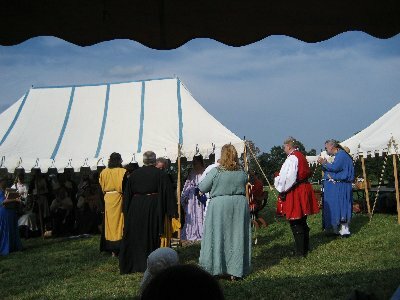 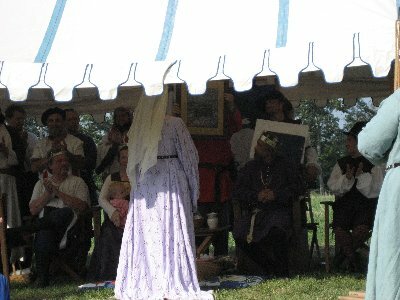 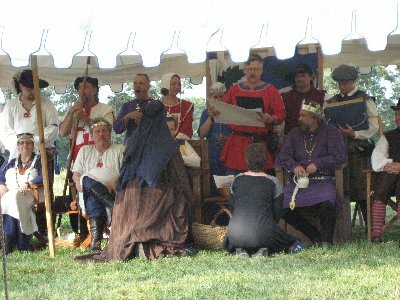 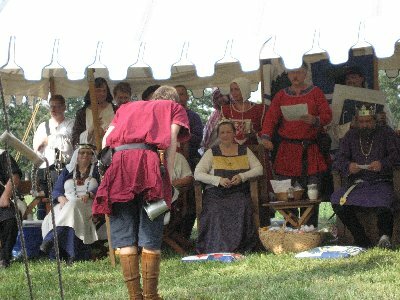 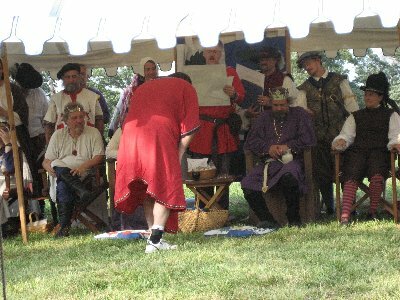 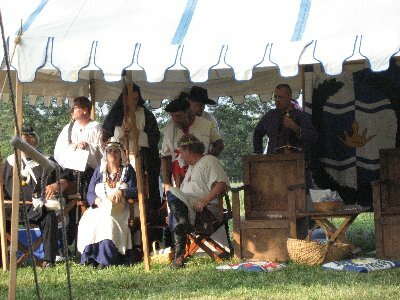 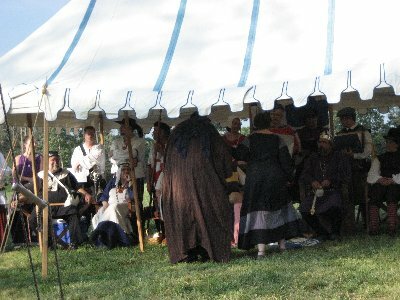 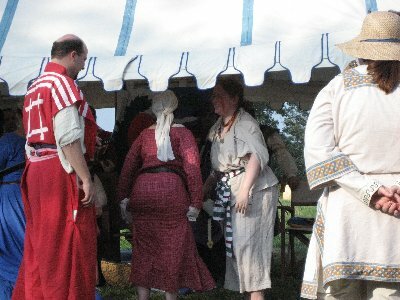 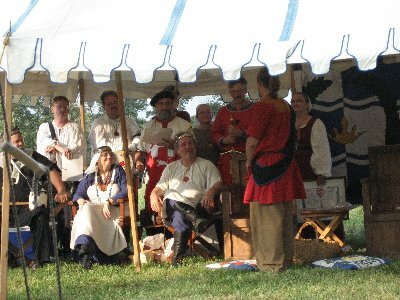 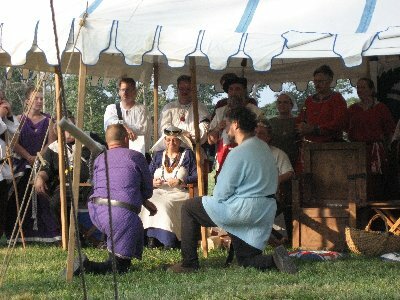 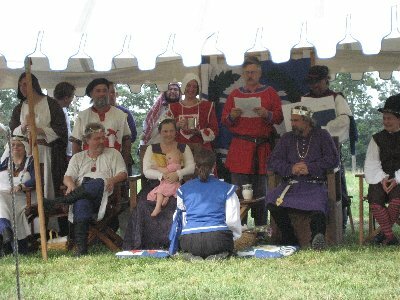 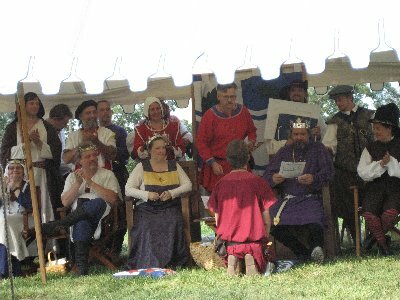 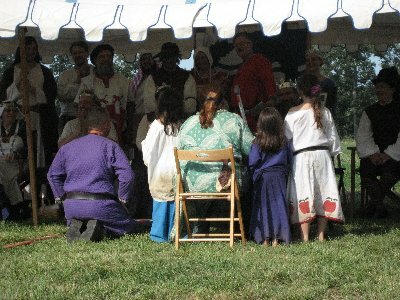 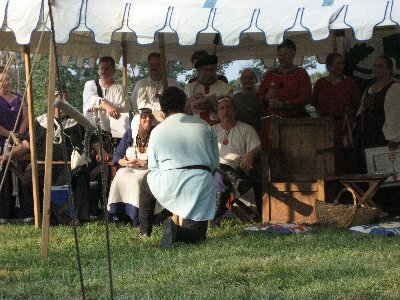 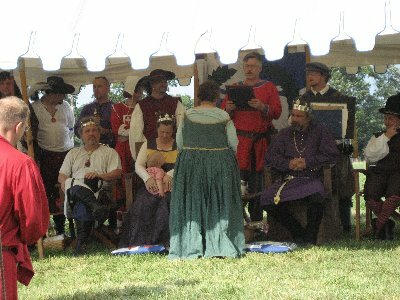 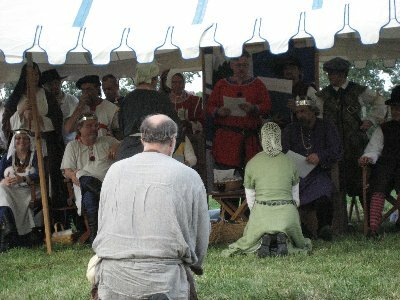 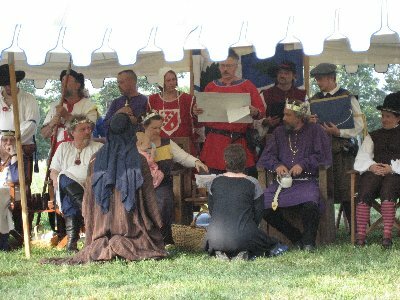 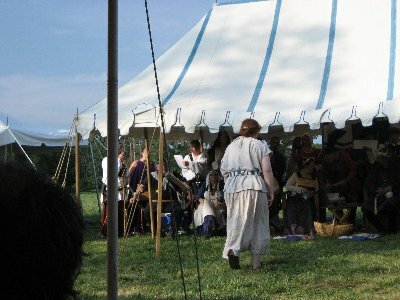 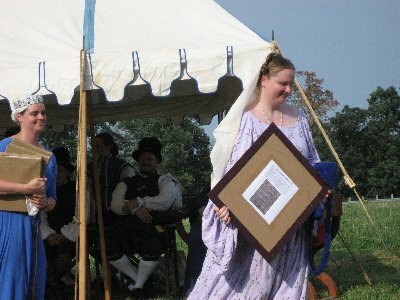 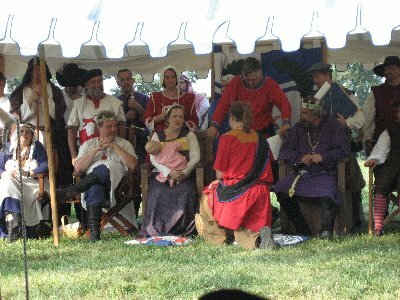 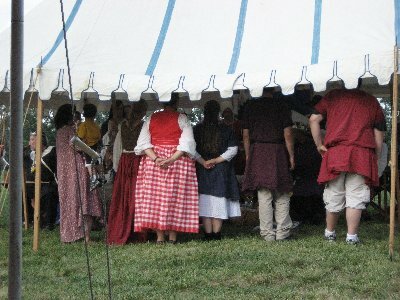 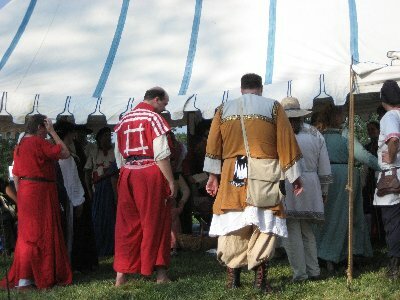 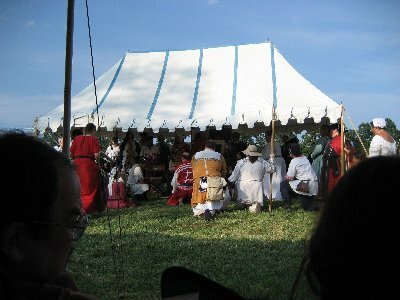 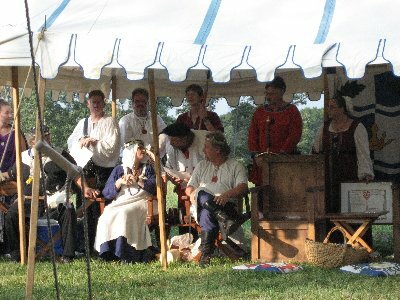 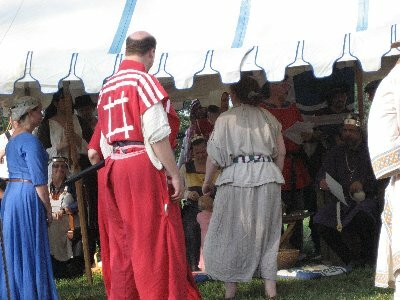 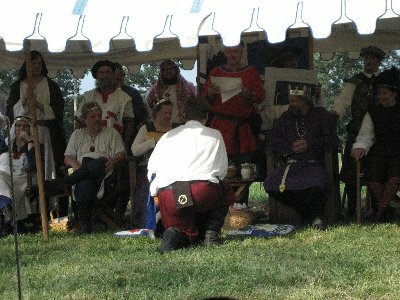 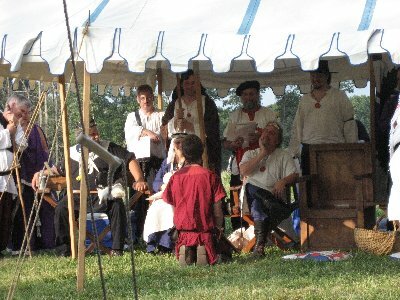 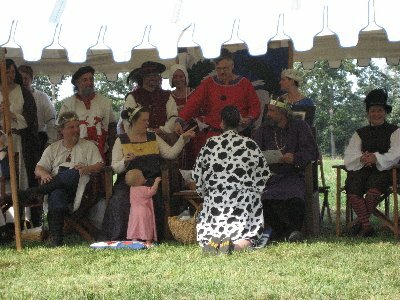 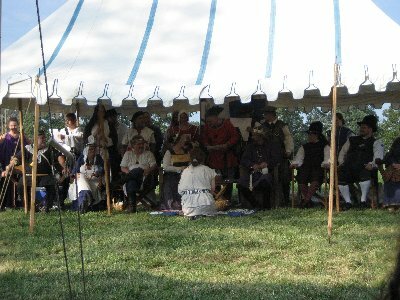 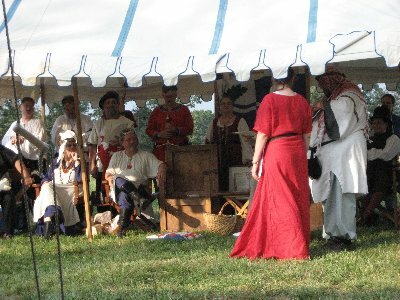 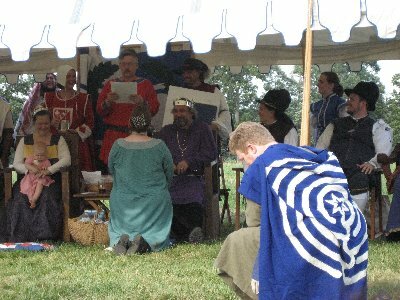 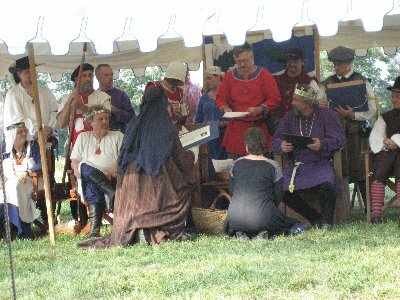 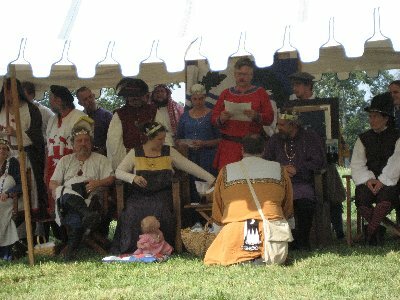 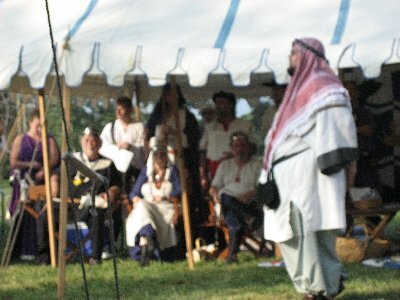 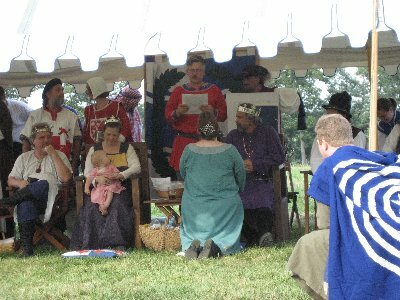 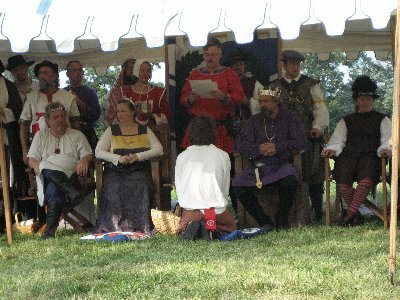 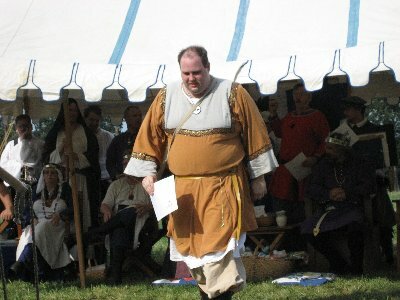 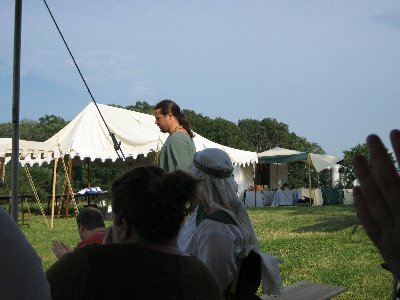 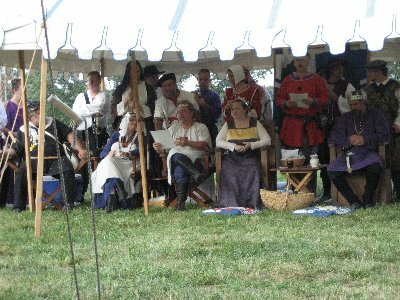 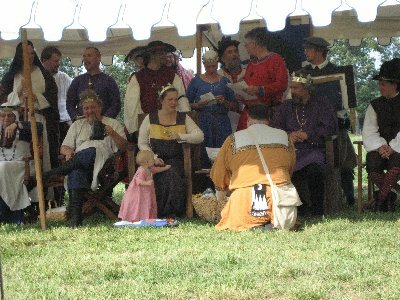 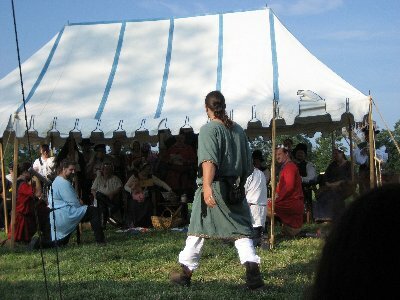 Pictures from Stierbach Baronial Birthday - July 22, 2006. 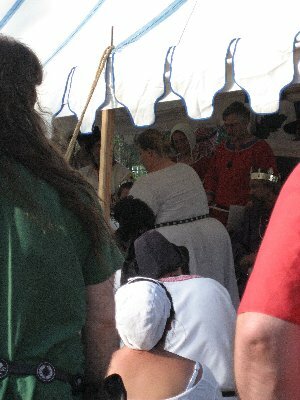 The first order of business was an Opal for Lady Martelle von Charlottenburg, which I took on a different camera. 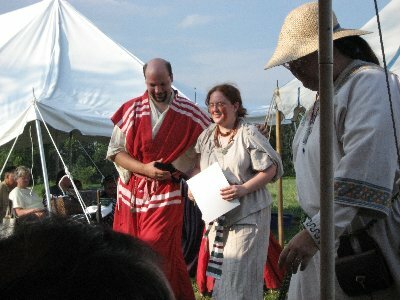 Loric of Ironwood is awarded the Opal. 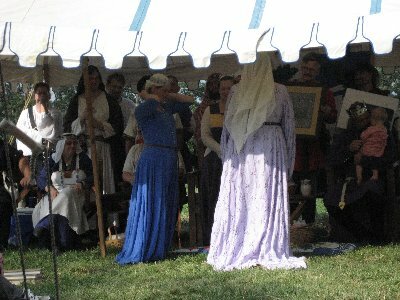 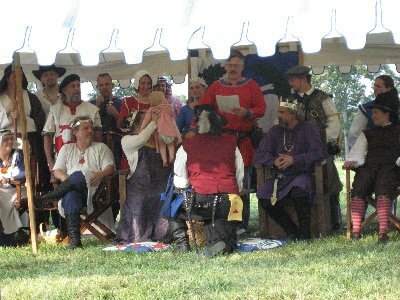 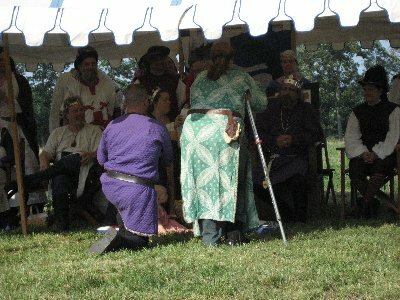 The youngest of the Ironwood clan is not forgotten, and Her Majesty gives her a token. 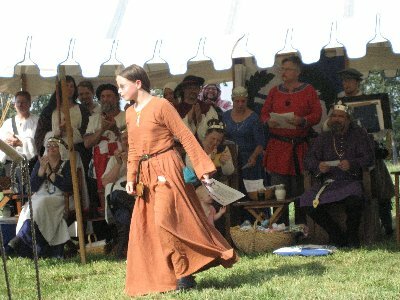 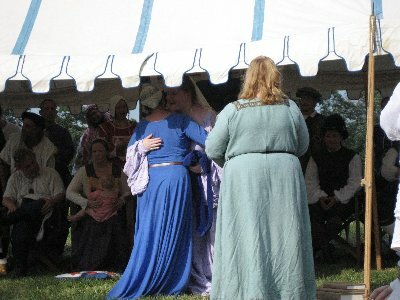 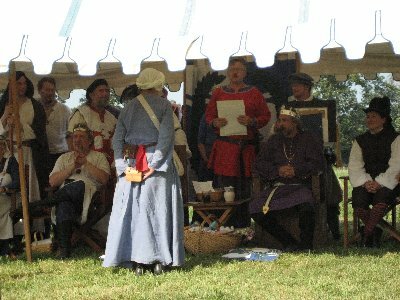 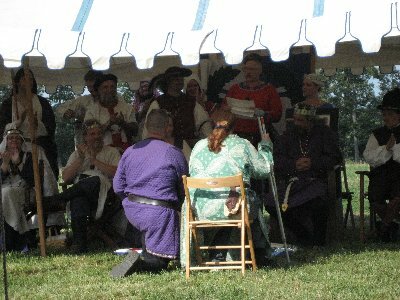 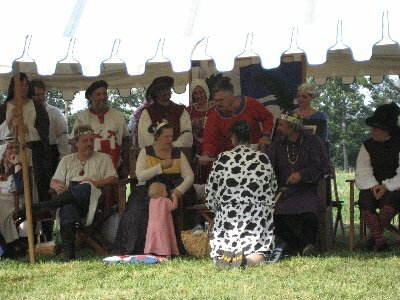 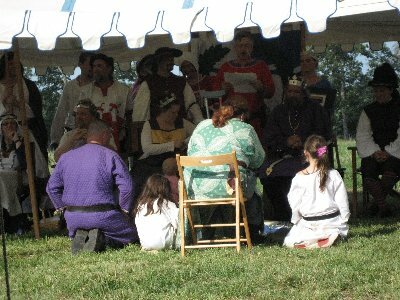 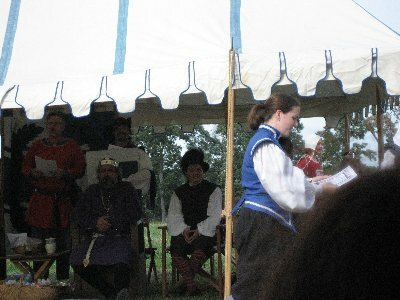 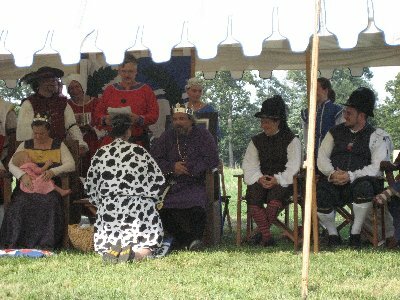 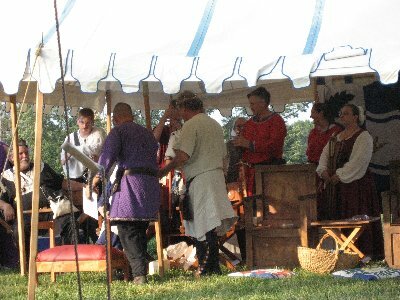 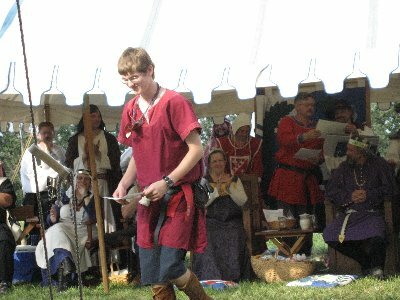 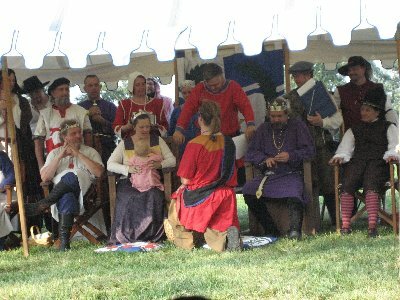 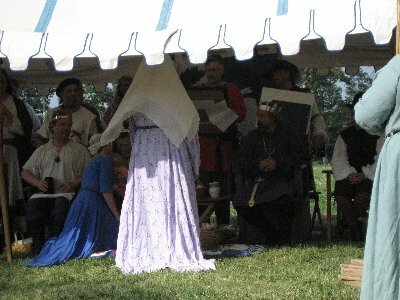 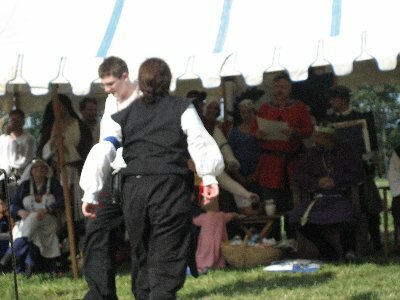 Her Majesty tells Brigid that she may NOT make her own scroll! 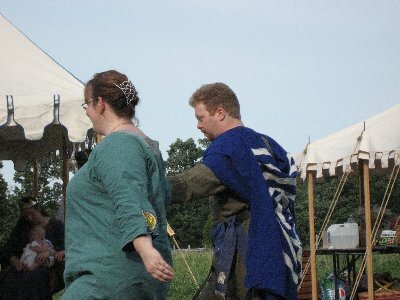 Vivant Lord Achmed and Lady Rowen!